Inspired by the rich culture and diversity of the Sa Pa tribes in Vietnam, Rithihi presents the Anavila Spring Summer Collection 2019 on the 1st and 2nd of March at its flagship store at Alfred House Gardens Colombo 3. 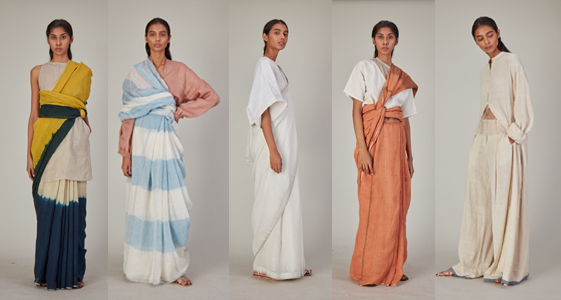 It’s a storybook palette of designer Anavila’s constant travels to Vietnam and echoes the Rithihi ethos of sustainability and responsibility in the design and production of apparel. The collection uses natural yarn – cotton, linen and silk, 100% natural dyes, is entirely hand-woven and handcrafted, all features unique to this Collection. Having observed the industrious women of the Sa Pa region who effortlessly glide through their lives intertwining an innate sense of togetherness with nature, the canvas drawn by Anavila in this collection encompasses earthy hues, natural tones and complex weaves. Founding the collection on mobility and minimalism, the colour palette reflects these natural tones. It also takes inspiration from how naturally available materials are converted into beautiful products, created and used sustainably and responsibly. The refreshing natural hues of white, beige and tones of peach, leaf green, indigo and charcoal are used in silhouettes that are easy, comfortable and stylish. The flexibility of this collection is also highlighted in the fact that it can be worn both for leisure and work depending on the styling. The genesis to this collection may surely be the contrasting backdrop of picturesque paddy fields before which beautiful and very stylishly dressed women from various tribes diligently work on embroidery, stitching or weaving hemp. Complex techniques including pleating, cording, embroidery and hand batik are found in nearly every one of their lovingly handmade garments and it is this juxtaposition of techniques, comfort and functional layering that is strongly retained in this Anavila Collection.